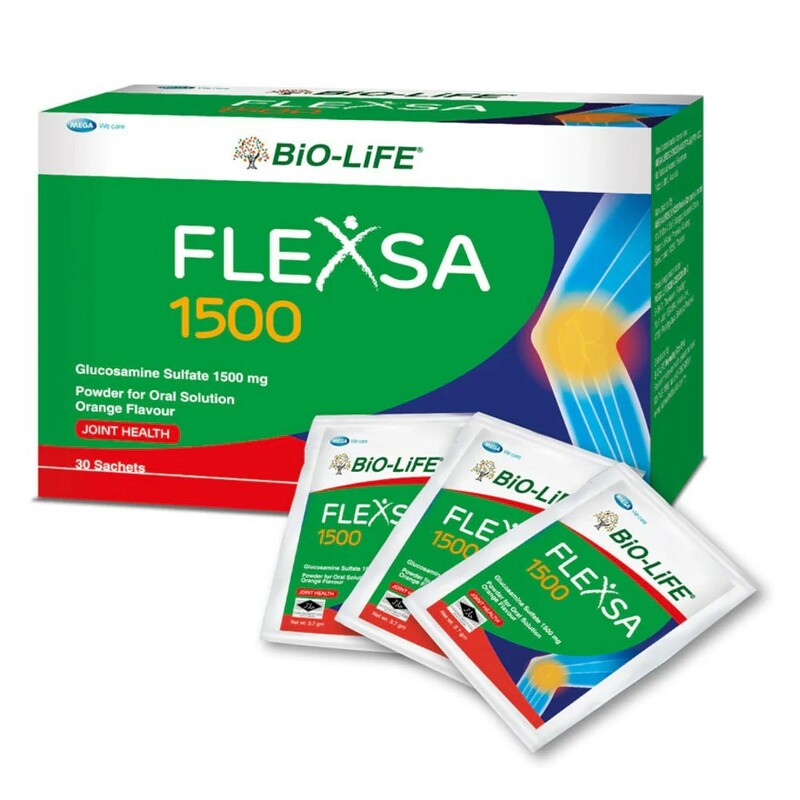 Flexsa 1500 contains sodium-free crystalline glucosamine sulfate in a powder form which is readily soluble in water. With these kind of properties, Flexsa 1500 provides better absorption and higher bioavailability. How does Flexsa 1500 helps in maintaining joint health? Crystalline glucosamine sulfate in Flexsa 1500 stimulates the synthesis of proteoglycans, the building blocks of the cartilage matrix. It has been demonstrated that 1500mg glucosamine sulfate retarded the progression of knee osteoarthritis and is effective in treating osteoarthritis symptoms. People with mild to moderate osteoarthritis. Osteoarthritis patients with medical condition such as high blood pressure. What makes Flexsa 1500 unique? Crystalline glucosamine provides higher solubility & bioavailability. Contains scientifically proven therapeutic dosage for glucosamine sulfate (1,500mg). Clinically proven comparable to its originator. With orange flavor to help increase compliance. Contraindicated in patients who are hypersensitive to glucosamine / shellfish allerg. Those with type 2 diabetes and those who have problems with glucose tolerance should have their blood sugars carefully monitored if they use glucosamine. Not to be taken by pregnant and lactating mothers.